eLase with Motif is a fast, nearly pain-free Laser Hair Removal treatment that works on virtually any part of your body—face, legs, arms, back, chest, stomach, neck, or bikini line. It uses light and radiofrequency energy to target and destroy hair follicles, preventing the hair from regrowing. Our Laser Hair Removal services are available at our Winter Park location. Unlike other laser hair removal systems, Motif can be used with fine, light hair and light skin tones, as well as with dark, coarse hair and dark skin tones. 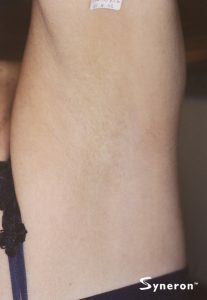 Treatment on tattooed skin should be avoided, since it may scatter pigment and fade or blur the ink. Pregnant patients should also skip laser hair removal, simply because there is not enough data to determine if it will affect the fetus. Sometimes there is a mild sensation of heat, and very sensitive areas may be numbed prior to treatment, but pain is almost non-existent. The laser device uses a chilled tip to minimize discomfort, and treatment time varies, based on the size of the targeted area. You can apply makeup to treated skin and continue your activities with no downtime. Sometimes your skin will be slightly red for a day or two following treatment. 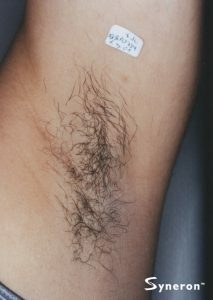 Facial hair usually takes about four to six treatments to remove, while body hair may take up to eight. Treatments are spaced four to six weeks apart, and most patients see a 50-90% reduction in unwanted hair.